are less expensive than commercial composting toilets and they can be built to whatever size and capacity a household requires. They are usually permanent structures located under the house or basement, but they can also be free-standing outdoor structures. The walls are typically made of timber and roofing iron but they can be made from any building material. Unlike regular house-hold toilets these toilets require a bit of maintenance in the form of the regular addition of sufficient carbon-based filler material, such as sawdust, peat moss, straw, hay or weeds. one benefit of these homemade composting toilets is most do not need water or electricity. Composting toilets are available commercially, some use water and others require electricity and come in all shapes, sizes, and price ranges. They’re usually made of fiberglass or plastic and consist of a composting chamber underneath the toilet seat. Flush toilets create pollution and squander invaluable organic resources for soils and gardens. 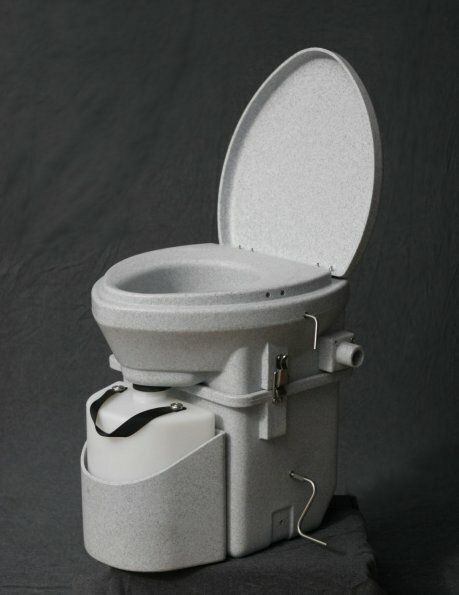 Composting toilets recycle waste and cultivate soil nutrients from human manure and urine. Flushing toilet systems, not only waste water, but squander financial resources by way of electricity bills and waste-water treatment costs. Flushing toilets also contribute to environmental problems inherent in waste disposal. Composting toilets on the other hand produce useable organic material in the form of fertiliser, but need to be managed properly to ensure their hygienic and safe operation. The homeowner must take responsibility for the overall management of the toilet. The degree of involvement will depend on the type of unit installed. In most cases, it may only involve adding some clean organic material such as peat moss, sawdust, rice husks or leaf mold to the toilet after each use. in place of flushing. The job is simply to make sure sufficient cover materials are available and being used in the toilet. They must also add bulking materials to the toilet contents when needed, and make sure the toilet is not being used beyond its capacity, not becoming waterlogged, and not breeding flies. 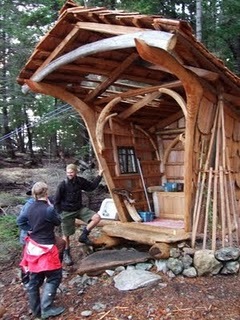 Composting toilets husband an organic mass with a high level of microscopic biodiversity. The contents are alive, and must be watched over and managed to ensure greatest success. Humanure contains the potential to harbor disease-causing pathogens. This potential is directly related to the health of the person producing the excrement. If the individual is healthy, the danger in the production and use of the compost will be very low, however if they are ill then the potential for contamination is very high. Human pathogens thrive at temperatures similar to that of their hosts. Safe compost temperatures must remain significantly above human body temperature (370 C or 98.60 F) in order to begin eradicating disease-causing bacteria. Most pathogens however only have a limited life-span outside the human body, and given enough time, will die even in low-temperature compost. Thermophilic composting is the best method to render Humanure hygienically safe. The simplest collection method is to deposit the waste on an outdoor compost pile like any other compost material. Open-air, outdoor compost piles are easily managed and offer a cheap, odorless system for the thermophilic composting of humanure. This system though the simplest, still require the regular collection and cartage of the organic material to the compost pile, making it relatively labor-intensive when compared to low-temperature, stationary, homemade and commercial composting toilets. Can you please elaborate. I can’t argue my point if you don’t specify where it is you think I maybe mistaken.